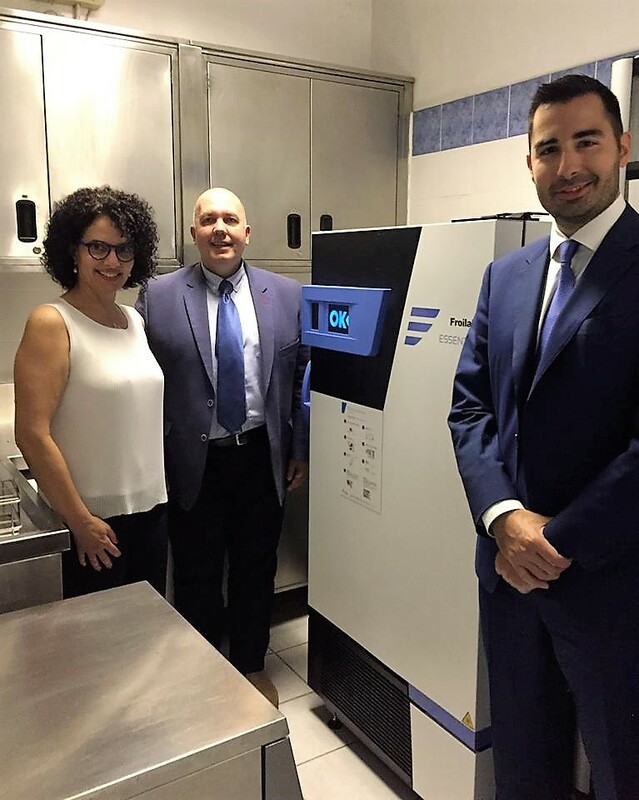 An event was held in “Aretaieion” Hospital on Wednesday, June 7, 2017 at 11:30 am for the delivery of the new hyper-freezer, donated by Rontis in order to support the effort of the clinic to renew the infrastructure that is required for the storage and preservation of biological samples for research programs. The event attended the Administrative Director of the “Aretaieion” Hospital Ms. Alexia Mpoloudaki, the Director of the Neonatology Clinic UOA Associate Professor Ms. Nicoletta Iakovidou, the member of the Board of Rontis Corporation Mr. Ioannis Drivas and the International Business Development Director of the Infant Nutrition Division of Rontis AG Mr. Apostolos Karoutis. The Rontis’ rational behind the creation of Rontamil infant nutrition product range was to allow parents and doctors to have alternative nutritional solutions in case the baby’s breastfeeding for some reason is not feasible. Rontis participates in numerous university programs, enhances the scientific training of pediatricians and supports research to improve the health and well-being of children throughout the world. Therefore, with this donation Rontis was given the opportunity and the great honor to contribute to the enormous social and scientific work being done by the Neonatology Clinical UOA in “Aretaeio Hospital”. This specific move by Rontis was mentioned by a big body of the country’s medical press.